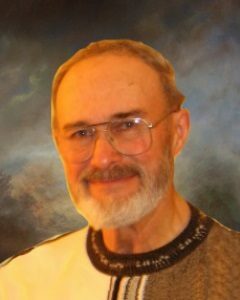 Wayne Mackenthun, age 80, of Glencoe, Minnesota, passed away on Tuesday, October 30, 2018, at his home near Glencoe, Minnesota. Funeral Service will be held Friday, November 2, 2018, 11:00 A.M. at First Evangelical Lutheran Church in Glencoe, Minnesota, with interment following at the church cemetery. Visitation will be held Friday, November 2, 2018, from 9:00-11:00 A.M., two hours prior the service at the church. Wayne William Mackenthun was born on August 31, 1938, in Green Isle Township, Sibley County, Minnesota. He was the son of William G. and Mabel (Lucht) Mackenthun. Wayne was baptized as an infant on September 25, 1938, by Rev. Alf. Streufert and later confirmed in his faith as a youth on April 6, 1952, by Rev. A. H. Fellwock both at First Evangelical Lutheran Church in Glencoe, Minnesota. He received his education in Glencoe, Minnesota, graduating with the Glencoe High School Class of 1956. Wayne entered active military service in the United States Army on January 3, 1957, and served during peace time. He received an Honorable Discharge on December 10, 1959. On August 9, 1963, Wayne was united in marriage to Janet Winterfeldt by Rev. R. W. Koepp at Immanuel Lutheran Church in Brownton, Minnesota. Wayne and Janet made their home on the family farm near Glencoe, Minnesota. Their life was blessed with three children, Andrea, Andrew and Alicia. Wayne and Janet shared over 55 years of marriage. Wayne was a dairy farmer and welder. After retiring from farming he worked at Thalmann Seeds in Plato. He lived his whole life on the family farm where he was born and died. Wayne was a lifelong member at First Evangelical Lutheran Church in Glencoe, where he served as a deacon for over 30 years, chaired the building committee for the 2000 addition and crafted many specialty items for use therein. Wayne enjoyed reading, woodworking, metal working, drawing and being in nature. He loved the time spent with his family and friends. Wayne passed away on Tuesday, October 30, 2018, at his home at the age of 80 years, 1 month and 30 days. Nephew, Nieces, Other relatives and many friends. Wayne was preceded in death by his Parents, William G. and Mabel Mackenthun; Father-In-Law & Mother-In-Law, Walter and Elsie Winterfeldt; Brothers-In-Law & Sister-In-Law, Lloyd Schlueter, Wayne and Sandra Winterfeldt; Nephew, Kevin Winterfeldt. My name is Jean (Lucht) McKeague. Albert and Alice Lucht were my Grandparents. Orren J. Lucht is my Father. I have never met any of the family from Glencoe and I know only that I have relatives in that area. I have been in touch with Lane Lucht for several years and he has kindly filled in some blanks for me. I am saddened hearing of Wayne’s passing because he is a part of my family that I never knew. I’m sorry for your loss. We are all getting older and I have become very curious about how large the family really is. I’m sorry that I’ve come to know you through the loss of Wayne. He sounds like a solid, hardy Minnesotan. Again, my sympathies for your pain.